While Netflix has long been hailed as business success, it now seems that the streaming service is in serious financial trouble. Today the company’s stock value plummeted following reports that viewers are giving up television after discovering the simple joy of ant farms. Recent media surveys have found that an increasing number of customers are canceling their subscriptions in favor of the innocent delight that comes from watching a terrarium full of busy worker ants dig tunnels and swarm about. According to analysts, Netflix could be facing hundreds of millions of dollars in lost revenue as more and more Americans realize that watching a community of ants build a tiny city right in your bedroom provides a thrill that not even the most exhilarating moments of Breaking Bad or Orange Is The New Black could ever hope to rival. 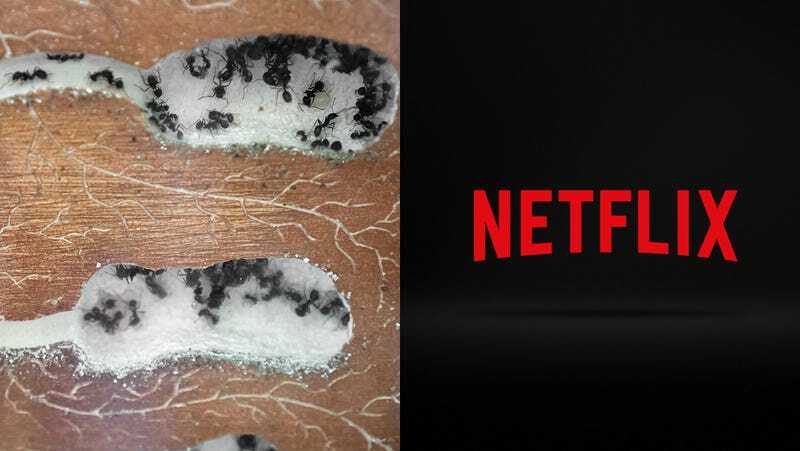 In order to survive in this shifting media landscape, it seems that Netflix will have to find a way to adjust its business model so that it somehow centers on ant farms, because for the American public, no TV show or movie could possibly be as fascinating as a tiny little civilization of bugs living right in your home. Until Netflix figures out a way to entice consumers away from the mesmerizing joys of the humble ant farm, its stock will continue to free-fall and the company could find itself rendered completely obsolete, just like Blockbuster before it.